Game of Thrones finally revealed the scene where Jon Snow (Kit Harington) discovers that he is Aegon Targaryen. 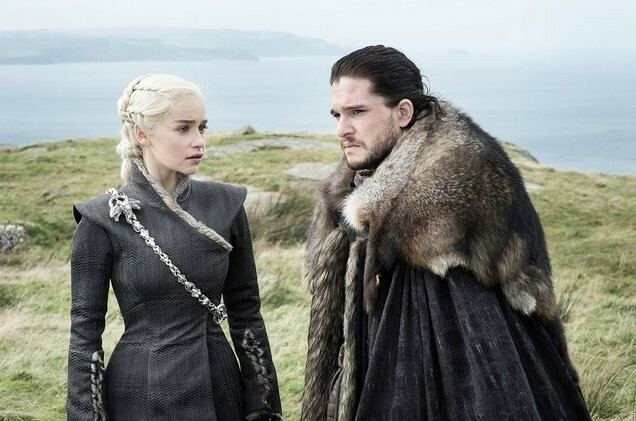 Game of Thrones season 8 episode 1 aired earlier today and it finally revealed the scene where Jon Snow (Kit Harington) discovers that he is Aegon Targaryen and the true heir to the Iron Throne. It was back in Game of Thrones season 7 where fans learned that Jon Snow's parents were Rhaegar Targaryen and Lyanna Stark. However, the character learned about this in the very first episode of season 8 titled "Winterfell." 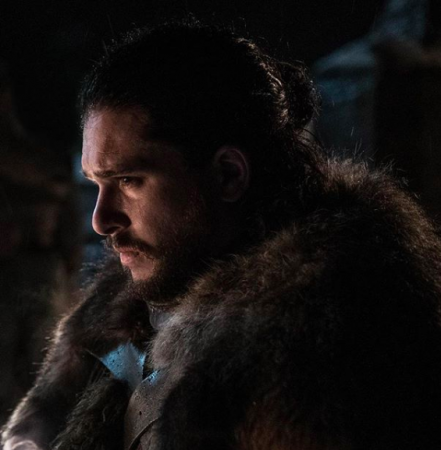 It was a pretty shocking moment for all of us because Jon Snow was standing inside the Winterfell's crypts and was lighting the candles to Ned and other dead Starks. Jon Snow learned the truth through Samwell Tarly, who revealed to him everything and even made him believe that he is the rightful heir to the throne. It must be pretty devastating for Jon Snow because, over the years, he considered Ned Stark as his real father. At the same time, his true parentage somehow jeopardizes his romance with Daenerys Targaryen because now he knows that he is actually her nephew. Kit Harington revealed to Entertainment Weekly in a candid interview that the news was pretty heartbreaking for his character Jon Snow. As per Kit, if Jon could go back in time, he would tell Sam not to tell him anything because as per him, ignorance is bliss. "He's not hard to predict, Jon, he doesn't do many unexpected things," Harington further says. "You mark the particularly tricky scenes that you're going have to concentrate on and this was one. He finds out such a massive piece of information. Not only does he find out who his mother is but also that he's related to the person he's in love with. It's hard for any actor to play. It's not a two-hour movie but eight seasons of playing a character who's finding out." Kit Harington further points out that all the fans know that Jon is truly a Targaryen and it may not shock them this much but as a person who always believed that his father, Ned Stark -- the most honourable man -- can also lie to him, makes him question everything. "For that moment, Samwell is nothing to him. Jon would disown this friend and beat him up if he was trying to lie to him about this. He's quite threatening: You're telling me this, you better be f****g right, and if you're trying to play me — that was the way to play that scene I think. I hope it was." Kit Harington will return as Aegon Targaryen on Game of Thrones season 8 episode 2 next Sunday, April 21, on HBO and other streaming services.